Blizzard Entertainments popular MOBA, Heroes of the Storm, has been receiving quite a few updates in the past week. 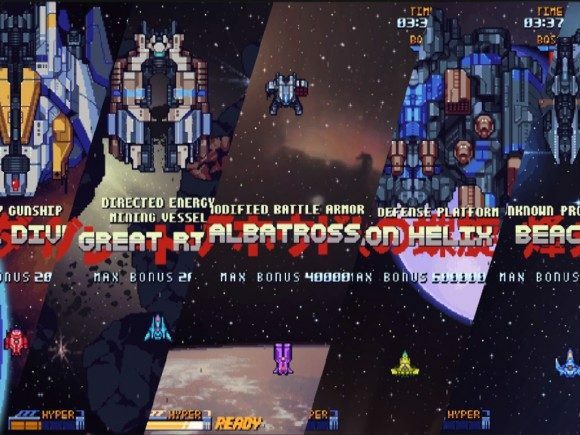 The developers have been constantly working on the game to ensure that the playability goes smoothly for anyone who wishes to join the Nexus. This includes new content, such as new heroes, skins, emotes, sprays, announcers, and portraits. 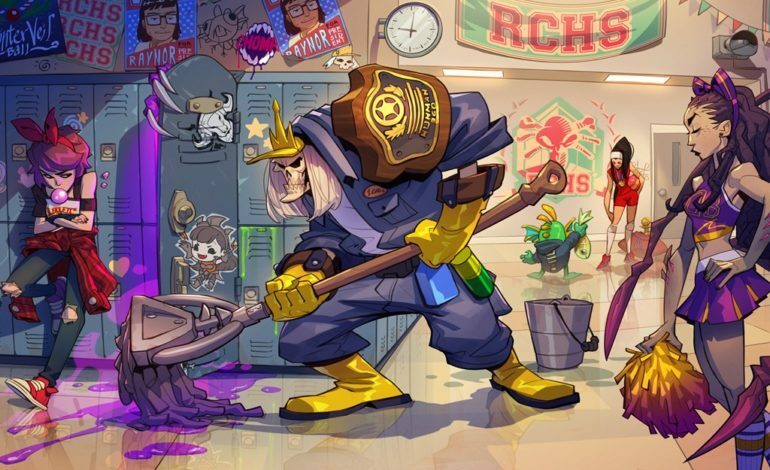 Speaking of skins, one of those updates was one of the most anticipated skins in the history of the game, Janitor Leoric. Announced during the Opening Ceremony at BlizzCon 2018, the art piece that spawned numerous jokes and memes a couple of years ago has come to life. The art piece came from a concept art contest in Taiwan, where it was named the winner by the development team. 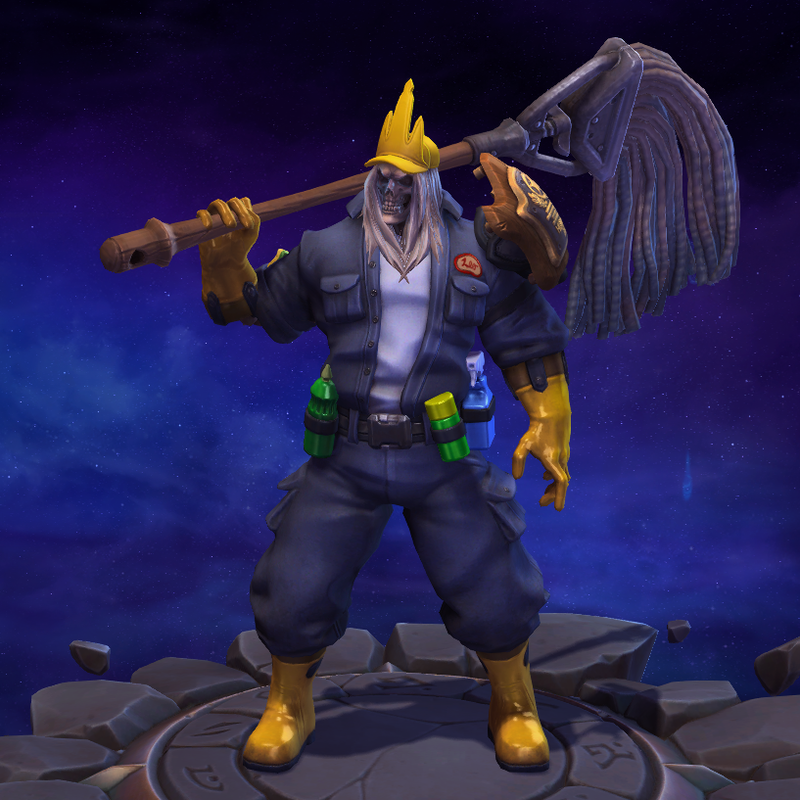 It took a while, but Janitor Leoric has finally made his way into the Nexus. For the uninitiated, Leoric is from the Diablo franchise, where he was the king of Khanduras before being corrupted by Diablo himself. After that, Leoric went mad and proceeded to destroy the very kingdom that he built from the ground up. He was resurrected in Diablo III, and was one of the major boss fights near the end of Act I. In Heroes of the Storm, Leoric is a bruiser Warrior, made for taking on enemies with high health while slowing them for his team. When donning the Janitor skin, Leoric’s giant mace is replaced with a very wet mop, which he proceeds to laughably swing around while screaming at his foes. The skin is available for all players to purchase, with one of the in-game currencies, Shards. Janitor Leoric costs 2400 Shards, but if you don’t wish to pay that much, then just wait a bit, as new skins tend to drop in game price a little after they are released. We had the chance to sit down with Heroes of the Storm Lead Hero Designer, Matt Villers, and Lead Animator, Careena Kingdom, at BlizzCon 2018 where we talked about Janitor Leoric and other new announcements.